This week the photo challenge is ROUND. We put round white caps on fence posts to make them safer for livestock. 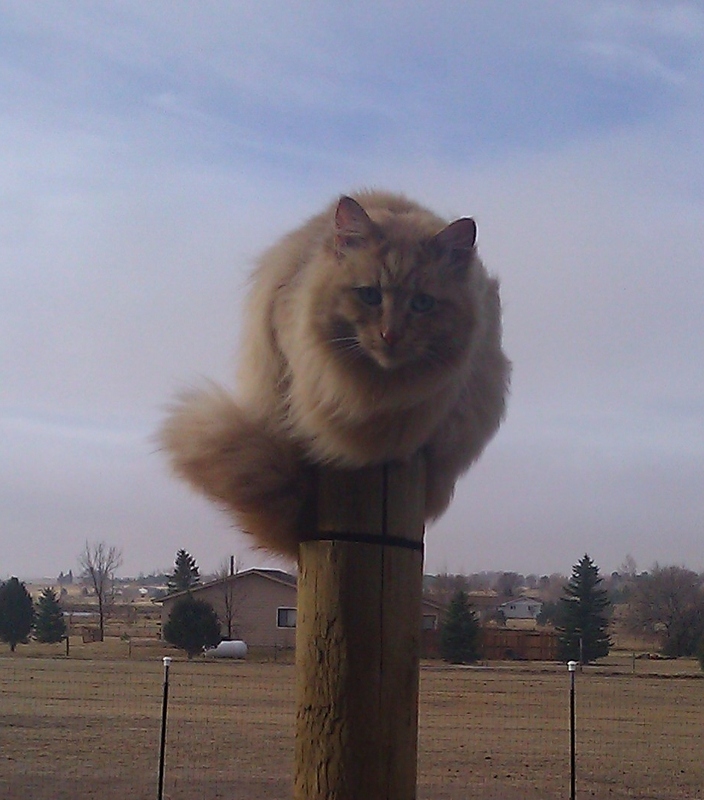 They don’t make them for larger wooden posts so we use round cats on those. Just another safety tip from Infinity Farm. She is my haflinger cat. Love the fluffy round cap on the fence post. Looking and Learning. Klassi K.